Downey Daily Photos: Here's the beef! 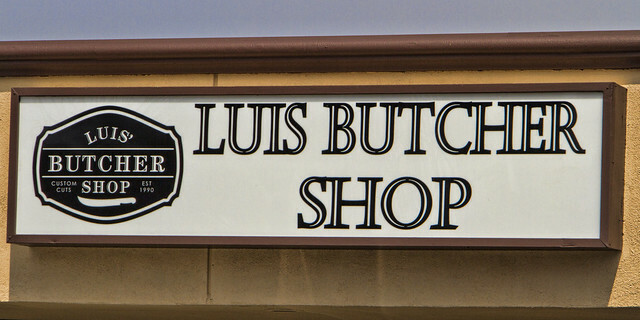 I spotted this butcher shop while taking an alternative way home the other night. I had to admit, I was intrigued. 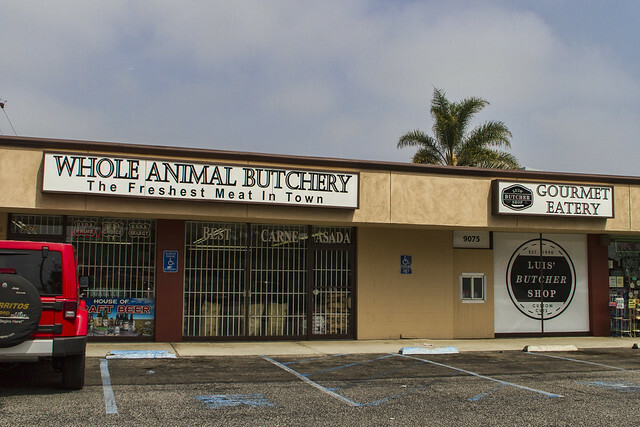 Do people really take whole animals here to be butchered? According to Richie, they do. And, this is more than a butcher shop. 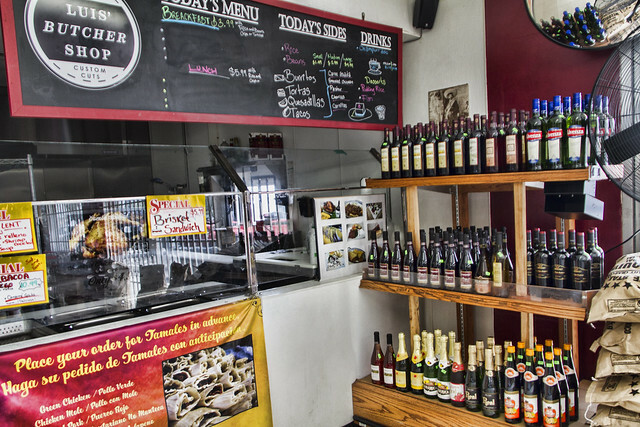 It is a local market filled with numerous items from a variety of South American countries. They also have a gourmet eatery that smelled fabulous, but was closed when we arrived. 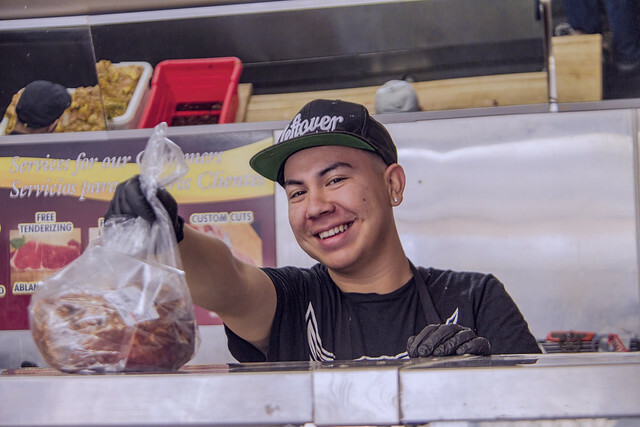 After exploring the store for a bit, I chatted with Richie, who helped me decide on trying some of their carne preparada. The carne was amazing! This place is a fun little gem. I will be back for more fresh carne asada and maybe a prime rib eye.